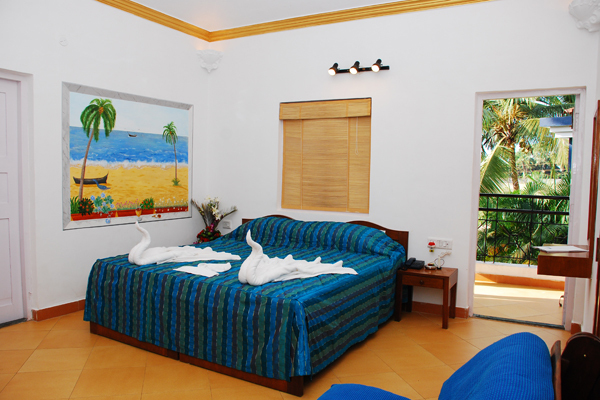 All rooms comprise of bedroom, bathroom and some also have a kitchen. 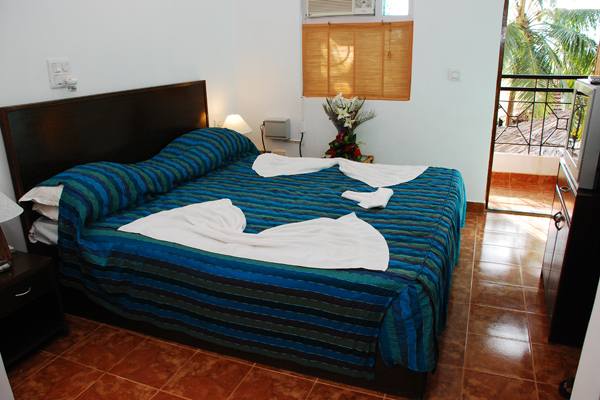 The rooms have a mini-bar stocked with a variety of chilled drinks and snacks, cable television, STD/ISD telephone service, hot water showers and for long stayers we provide cooking facilities. Should you need to safe-guard your belongings during your stay, the resort has safety lockers manned 24-hours a day. Surrounded by coconut palms and greenery, Santana Beach Resort has 2 swimming pools with sun-beds scattered around, for you to relax soak up those sun rays. And if you want to indulge we can even organize an Aryuvedic Massage for you by the pool or in your room. Should you wish to go on sightseeing trips, jungle treks or take part in any watersports activities, our friendly staff will do their best to help. Let us know your requirements at the time of booking or on arrival and we will ensure your holiday is as action packed or relaxing as you wish! To see some more photos of the hotel, please visit our Gallery.